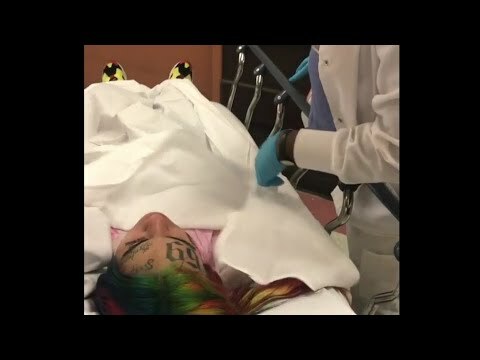 Tekashi69 was Robbed , Pistol whipped and Kidnapped and is now in the hospital - BTMB learned. Sources close to Tekashi tell us, the rapper was working on a music video in Brooklyn early Sunday morning and at around 4AM he wrapped for the night and drove home. Sources told US when he got there another car pulled up and blocked his driveway. They said that when 3 hooded gunmen got out of the other car, grabbed Tekashi and pistol whipped him ... knocking him unconscious. Sources say a short time later, the gunmen pulled up to Tekashi's home and 2 of them made their way inside as the third guarded 69 inside the vehicle. The gunmen took around $750k in jewelry and between $15k and $20k in cash; We'er being told. While all this was happening, Tekashi's baby mama and daughter were inside the house but not hurt. Responding ambulance came; reports say Tekashi was taken to a hospital, where he remains. Doctors are performing various tests, including a CT scan.